Don’t miss “W.E.B. Dubois and His Time at the University of Berlin” by Bryan Ganaway on Wednesday, September 23rd! 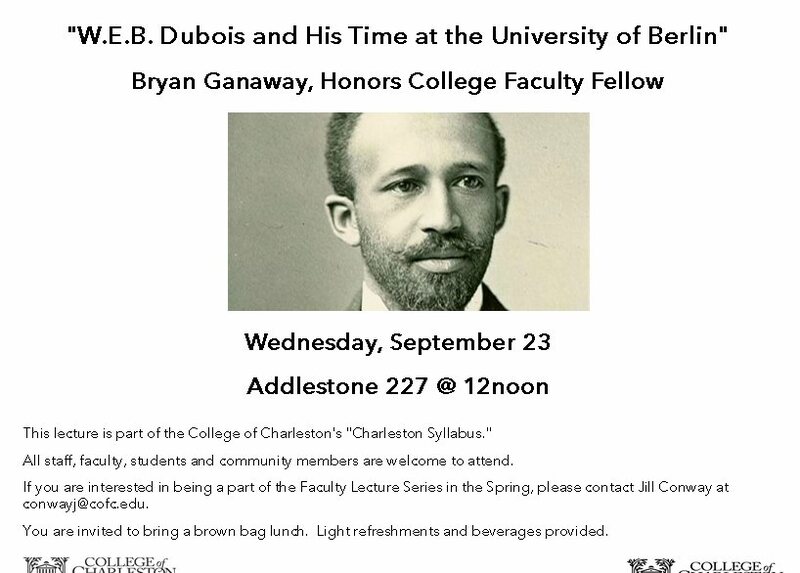 This lecture is part of the College of Charleston “Charleston Syllabus.” All staff, faculty, students and community members are welcome to attend. Sponsored by the Honors College and Friends of the Library.